April 30, 1945: An announcement on the German wireless: "It has been reported from the Fuehrer's headquarters that our Fuehrer Adolf Hitler has died this afternoon..."
Nikitchenko: It is, of course, impossible to foresee all the details that should be included in a statute of this kind and I agree that the court which is to be set up must have the power to elaborate detailed instructions that will be necessary; but we are afraid the actual wording of this paragraph number 8, as it is, rather implies that if we do not here and now define basic principles for government of the International Tribunal, it will be left then to the Tribunal itself when set up to do that work, and it would delay the work of the prosecutors. Mr. Roberts: May I say that it is our view, too. We would like to draft some rules by agreement although we quite understand that the Tribunal will have the power to modify or extend those rules, but we share the Russian fear that this paragraph as it is might lead to duplication and delay. Nikitchenko: This is a change we can discuss in a memorandum, but we could leave the text as it stands now in the statute and arrange that when necessary. The Tribunal may later elaborate or extend. Truman: You are aware that we have appointed Justice Jackson as our representative on the London Commission. He is an outstanding judge and a very experienced jurist. He has a good knowledge of legal procedure. Jackson is opposed to any names of war criminals being mentioned and says that this will hamper their work. He assures us that the trial will be ready within thirty days and that there should be no doubt concerning our view of these men. Stalin: Perhaps we could name fewer persons, say three. Bevin: Our jurists take the same view as the Americans. General Nikitchenko: There is one question. What is meant in the English by "cross-examination"? Lord Chancellor: In an English or American trial, after a witness has given testimony for the prosecution he can be questioned by the defense in order that the defense may test his evidence verify his evidence, to see whether it is really worthy of credit. In our trials the defendant or his counsel is always entitled to put questions in cross-examination. And I think the same situation prevails in the courts of France. Judge Falco: Yes, the same. August 8, 1945: The London Agreement is signed. Grave precedents are being set. For the first time the leaders of a state are being tried for starting a war and breaking treaties. We may expect after this that at the end of any future war the victors--whether they have justice on their side or not, as this time we firmly believe we have--will try the vanquished. Scanning this list, one cannot but be struck by the completeness of the Nazi catastrophe. Of all these men, who but a year ago enjoyed wide influence or supreme power, not one could find a refuge in a continent united in hate against them. 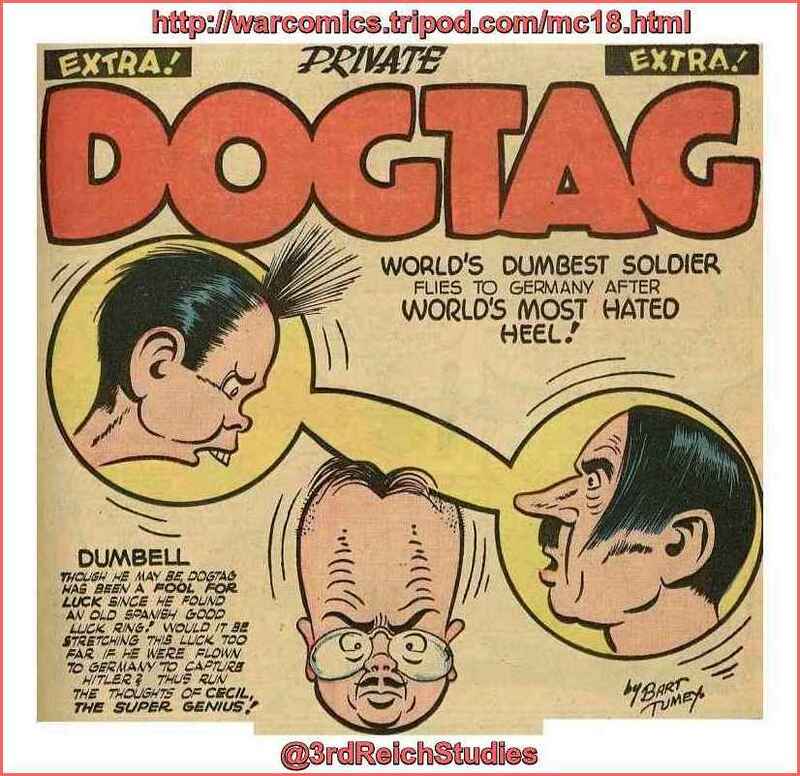 No evidence has yet been found that the German High Command had any over-all strategic plan. 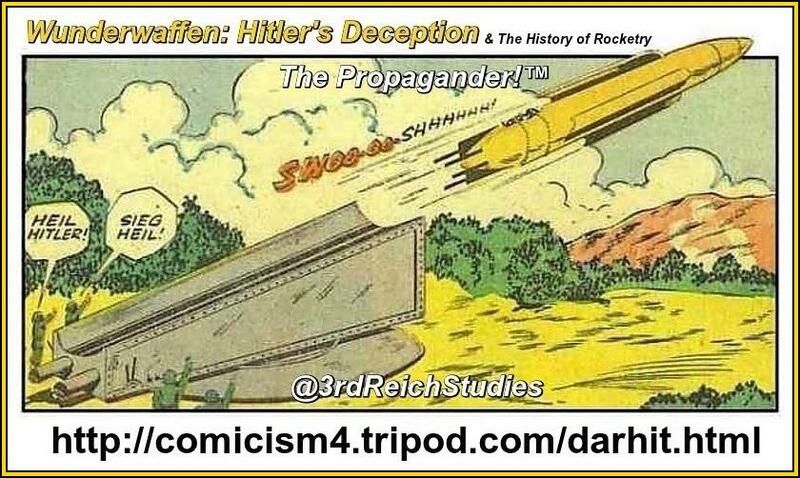 Although the High Command approved Hitler's policies in principle, his impetuous strategy outran German military capabilities and ultimately led to Germany's defeat. The history of the German High Command from 1938 on is one of constant conflict of personalities in which military judgment was increasingly subordinated to Hitler's personal dictates. 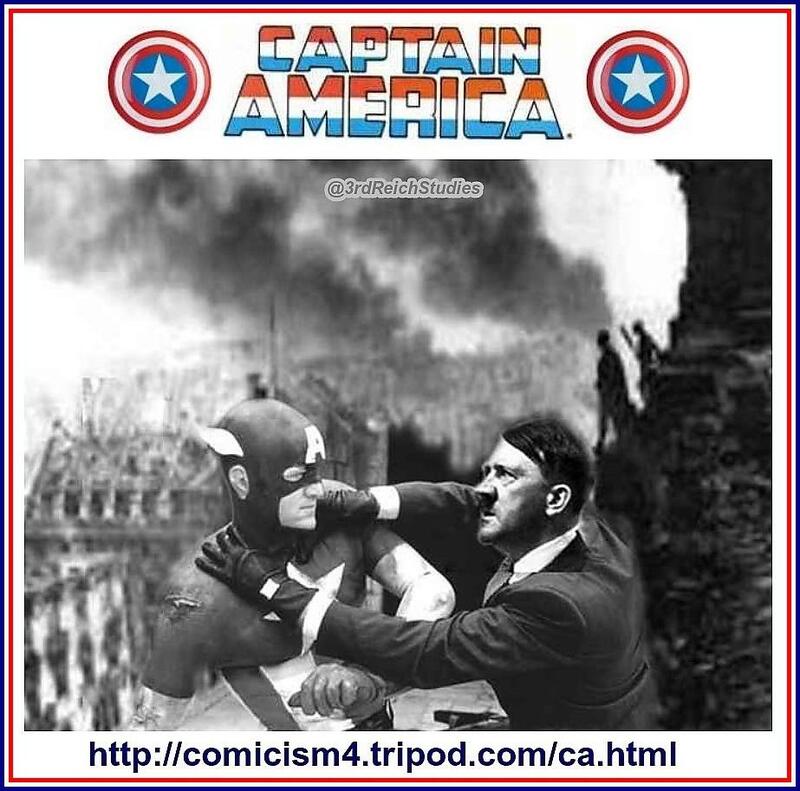 The first clash occurred in 1938 and resulted in the removal of Blomberg, Von Fritsch, and Beck and of the last effective conservative influence on German foreign policy. Nor is there evidence of close strategic co-ordination between Germany and Japan. The German General Staff recognized that Japan was bound by the neutrality pact with Russia but hoped that the Japanese would tie down strong British and American land, sea, and air forces in the Far East. In the absence of any evidence so far to the contrary, it is believed that Japan also acted unilaterally and not in accordance with a unified strategic plan. Yesterday, Jackson told the press that the US would be ready to start the trial on November 1. By the way, the Russian representative (Nikitchenko) had been suddenly withdrawn. No explanations—mere notice that he will no longer represent Russia in this matter. After weeks of negotiating, weeks of work with him as chief counsel for Russia, he simply goes home and does not come back. These Russians are impossible. What effect this will have on the trial or the trial; date no one knows, but you can imagine the confusion that may arise out of it. Dear Sirs, In the Indictment of German War Criminals signed today, reference is made to Estonia, Latvia, Lithuania, and certain other territories as being within the area of the USSR. This language is proposed by Russia and is accepted to avoid the delay which would be occasioned by insistence on an alteration in the text. The Indictment is signed subject to this reservation and understanding: I have no authority either to admit or to challenge on behalf of the United States of America, Soviet claims to sovereignty over such territories. Nothing, therefore, in this Indictment is to be construed as a recognition by the United States of such sovereignty or as indicating any attitude, either on the part of the United States or on the part of the undersigned, toward any claim to recognition of such sovereignty. Respectfully submitted, Robert H. Jackson, Chief of Counsel for the United States. October 20, 1945: Kapitanleutnant Heinz-Wilhelm Eck is sentenced to death (his U-852 had sunk the Peleus and then machine-gunned the survivors); he will be executed on 30 November. October 30, 1945: The Soviets deliver Raeder and fellow defendant Fritzsche to Nuremberg. November 20, 1945 Nuremberg Tribunal: On day 1 of the historic trial, the prosecutors take turns reading the indictment in court. Unfortunately, no one had given any thought to the prisoners' lunch break, so, for the first and only time during 218 days of court, the defendants eat their midday meal in the courtroom itself. This is the first opportunity for the entire group to mingle, and though some know each other quite well, there are many who've never met. The defendants do not speak much about the charges, but a few mention the improved quality of the food. November 21, 1945 Nuremberg Tribunal: On day 2, the defendants enter their pleas: "The President: I will now call upon the defendants to plead guilty or not guilty to the charges against them. They will proceed in turn to a point in the dock opposite to the microphone... Raeder: I declare myself not guilty." Among the American prosecutors General Donovan...played a special role. A lawyer by profession, during the war he was head of the American intelligence system. The relations between Donovan and the Chief Prosecutor Jackson were very tense. From an apparently well informed source it was heard that Donovan had a very different plan for the trial than Jackson and his men. He had the intention of making Goering, the second man in the Third Reich, a privileged witness for the prosecution, and giving him opportunity...to save his head. Goering, in discussion with Donovan, accepted this plan. The plan collapsed because of Jackson's opposition...Also as regards the handling of...the greater part of the military, Donovan had his own opinions. November 29, 1945 Nuremberg Tribunal: The prosecution presents as evidence a film shot by US troops as they were liberating various German concentration camps. December 11, 1945 Nuremberg Tribunal: On the trial's 17th day, prosecution presents as evidence a four-hour movie, 'The Nazi Plan,' compiled from various Nazi propaganda films and newsreels. December 20, 1945 Nuremberg Tribunal: After this day's session, the trial adjourns for a Holiday break until Wednesday, the 2nd of January. December 23, 1945 Nuremberg Tribunal: Many of the defendants, most of whom are Protestant, attend Christmas Eve services conducted by Pastor Gerecke. Colonel Phillimore: When you were a U-boat commander yourself, what was the order with regard to rescue? Moehle: At the beginning of the war we had been told that the safety of one's own boat was the decisive thing, and that the boat should not be endangered by rescue measures. Whether these orders already existed in writing at the outbreak of the war I do not remember. Colonel Phillimore: When you got this order of the 17th of September 1942, did you take it merely as prohibiting rescue or as going further? Moehle: When I received that order I noticed that it was not entirely clear, as orders of the BdU normally were. One could see an ambiguity in it. Colonel Phillimore: You have not answered my question. Did you take the order to mean that a U-boat commander should merely abstain from rescue measures, or as something further? February 11, 1946 Nuremberg Tribunal: On day 56, the Russians present a surprise witness, Field Marshal von Paulus, who had surrendered at Stalingrad. General Rudenko: And one last question: Whom do you consider as guilty of the criminal initiation of the war against Soviet Russia? Paulus: May I please have the question repeated? The President: The Tribunal is about to address an observation to General Rudenko. The Tribunal thinks that a question such as you have just put, as to who was guilty for the aggression upon Soviet territory, is one of the main questions which the Tribunal has to decide, and therefore is not a question upon which the witness ought to give his opinion. Is that what Counsel for the Defense wish to object to? Dr. Laternser: Yes, Mr. President, that is what I want to do. General Rudenko: Then perhaps the Tribunal will permit me to put this question rather differently. General Rudenko: Who of the defendants was an active participant in the initiation of a war of aggression against the Soviet Union? Paulus: Of the defendants, as far as I observed them, the top military advisers to Hitler. They are the Chief of the Supreme Command of the Armed Forces, Keitel; Chief of the Operations Branch, Jodl; and Goering, in his capacity as Reich Marshal, as Commander-in-Chief of the Air Forces and as Plenipotentiary for Armament Economy. General Rudenko: In concluding the interrogation I shall make a summary. Have I rightly concluded from your testimony, that long before 22 June the Hitlerite Government and the Supreme Command of the Armed Forces were planning an aggressive war against the Soviet Union for the purpose of colonizing the territory of the Soviet Union? During the afternoon intermission, the military section blew up in an uproar, and they argued with heated invective with their attorneys and each other. ' Ask that dirty pig if he's a traitor! Ask him if he has taken out Russian citizenship papers!' Goering shot at his attorney. Raeder saw me watching and shouted at Goering, 'Careful! The enemy is listening!' Goering kept right on shouting to his attorney, and there was real bedlam around the prisoners dock. 'We've got to disgrace that traitor,' he roared. Keitel was still arguing with his attorney, and Raeder passed him a note with the same warning. At the other end of the dock, the attitude was more sympathetic to von [sic] Paulus. 'You see,' said Fritzsche, 'that is the tragedy of the German people. He was caught between the devil and the deep blue sea." Paulus: If I judge correctly, then I believe that I am supposed to be here as a witness for the events with which the defendants are charged. I ask the Tribunal, therefore, to relieve me of the responsibility of answering these questions which are directed against myself. Dr. Nelte: Field Marshal Paulus, you do not seem to know that you also belong to the circle of the defendants, because you belonged to the organization of the High Command which is indicted here as criminal. Paulus: And, therefore, since I believe that I am here as witness for the events which have led to the indictment of these defendants here, I have asked to be relieved of answering this question which concerns myself. Frank...was delighted with his testimony, proud that he had stood out from the other defendants who always claimed ignorance of what was going on. ' I DID know what was going on. I think that the judges are really impressed when one of us speaks from the heart and doesn't try to dodge the responsibility'...Schacht himself was prepared to go further. He wanted to make accusations against fellow defendants - Goering, Ribbentrop, Keitel and Raeder were his chosen targets. 'My people must be shown,' he declared 'how the Nazi leaders plunged them into an unnecessary war.' So by mid-April the defendants were clearly divided. Colonel Phillimore (Junior Counsel for the United Kingdom): Are you suggesting that you were entitled to sink at sight neutral shipping anywhere in that zone, as from 24 November? Wagner: I am of the opinion that we were justified from that period of time onwards in having no special consideration for neutral shipping. If we had made exceptions in our orders to our U-boats, it would have meant in every case that they could not have sunk enemy ships without warning. Colonel Phillimore: It is not a question of any special consideration. Do you say that you became entitled to sink at sight any neutral ship, or sink it deliberately, whether you recognized it as neutral or not? The President: (Lord Justice Sir Geoffrey Lawrence): Surely you can answer that question yes or no? Wagner: Yes, I am of that opinion. Colonel Phillimore: Will you tell me how that squares with the submarine rules? Colonel Phillimore: It is a very simple question to answer generally and it takes less time. Do you say that men captured in uniform should be taken out and shot without trial? Wagner: I cannot consider men of whom I know that they have orders to commit crimes, as soldiers, within international law. Colonel Phillimore: Are you saying that this action was perfectly proper—are you? Wagner: Yes, entirely and perfectly. Colonel Phillimore: Shoot helpless prisoners without trial, bully little neutrals who cannot complain? That is your policy, is it? Colonel Phillimore: What crime did Robert Paul Evans commit, who attacked the Tirpitz in a two-man torpedo? Wagner: I am convinced it was proved that he belonged to a sabotage unit, and that besides the purely naval character of the attack on the ship, there were other aspects which marked him as a saboteur. Colonel Phillimore: And you said just now that you did not remember the incident? Colonel Phillimore: Will you agree on this, will you agree with me, that if this shooting by the SD was murder, you and Admiral Doenitz and Admiral Raeder, who signed the orders under which this was done, are just as guilty as the men who shot them? Wagner: The person who issued the order is responsible for it. Colonel Phillimore: And that person who passed it and approved it; is not that right? Hessler: The experienced U-boat commander was justifiably suspicious of every merchantman and its crew, no matter how innocent they might appear. In two cases this attitude of suspicion saved me from destruction. This happened in the case of the steamer Kalchas, a British 10,000 ton ship which I torpedoed north of Cape Verde. The ship had stopped after being hit by the torpedo. The crew had left the ship and were in the lifeboats, and the vessel seemed to be sinking. The President: Surely, Dr. Siemers, it would be possible to deal with all these various points in the documents in one statement as to why there were these excesses. We have a statement here which contains 30 different items, and you have only got as far as 13, and you are dealing with each one. Dr Siemers: Mr. President, personally I agree entirely. I am sorry that I caused the Tribunal so much trouble in connection with this document. As I am not a naval expert, I had a great deal of trouble finding my way through it; but I do not think that I was the cause of the trouble. The Prosecution, you see, have made use of the single points in evidence. The President: Dr. Siemers, the question is-I am not blaming you, but we want to get on. We are not blaming you. Can't it be done in one explanatory statement, one short statement? Dr. Hans Laternser (Counsel for General Staff and High Command of the German Armed Forces): The Prosecution also asserts that the high military leaders were not military experts but that they knew Hitler's intentions of aggression and willingly co-operated. Can you name any military leaders who, before they had received orders, took a positive attitude toward any aggressive action? Raeder: I cannot answer that. I explained yesterday how Admiral Carls pointed out to me the danger imminent in Norway; but he did not do anything more than give me the information, point out the danger, and elucidate the situation there. Dr. Laternser: The attitude of' the former Commander-in-Chief of the Armed Forces, Von Fritsch, and of the Chief of the General Staff Beck to the question of a war is known. I just wanted to ask you, did the Commander-in-Chief of the Army, Field Marshal Von Brauchitsch, have the same attitude concerning the war? Raeder: I believe so, yes. The President: Dr. Laternser, you have been putting this class of question to every naval and military witness who has been called, and what the Tribunal desires me to point out to you is that there has been no cross-examination by any member of the Prosecution challenging any of these points, so this evidence is entirely repetitive and cumulative and is not bound to be put by you to every military and naval witness who comes into the witness box, and it is simply a waste of time to the Tribunal. When questions are answered by a witness and are not cross-examined to by the other side, it is the practice to assume that the answers are accepted. Dr. Laternser: Mr. President, for me this is an extremely important question which has just been touched upon, namely, the question of whether a question is inadmissible because in the opinion of the Court it is cumulative. I should like to make a few statements concerning whether or not a question is cumulative. Colonel Pokrovsky: ...You will be shown where they can be found on the original, and you can say whether it was correctly read into the record and whether you acknowledge and confirm it. 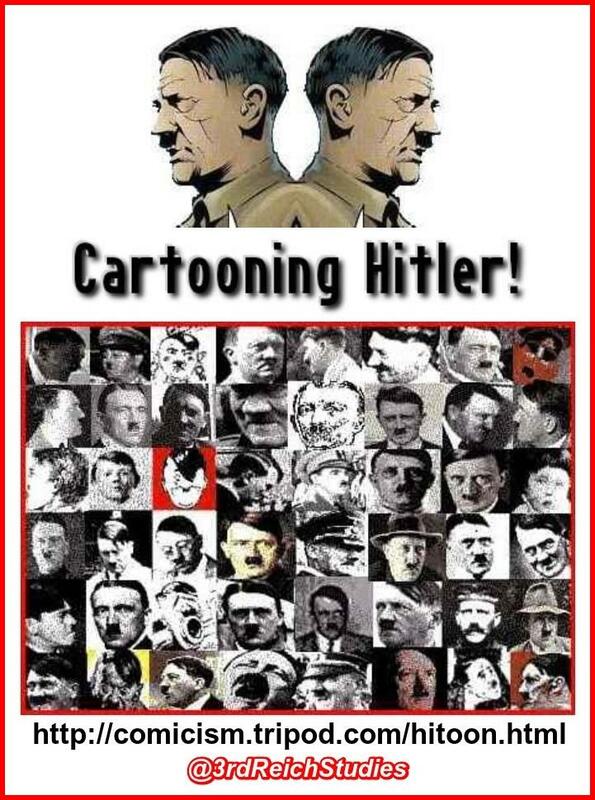 "My Attitude Towards Adolf Hitler and the Party. Disastrous influence on the fate of the German State...." (Note: This is a document written by Raeder in Moscow. Pokrovsky reads what Raeder wrote on Goering): "Unimaginable vanity and immeasurable ambition were his main peculiarities; running after popularity and showing off, untruthfulness, vagueness, and selfishness, which were not restrained for the sake of State or People. He was outstanding in his greed, wastefulness, and effeminate unsoldierly manner." 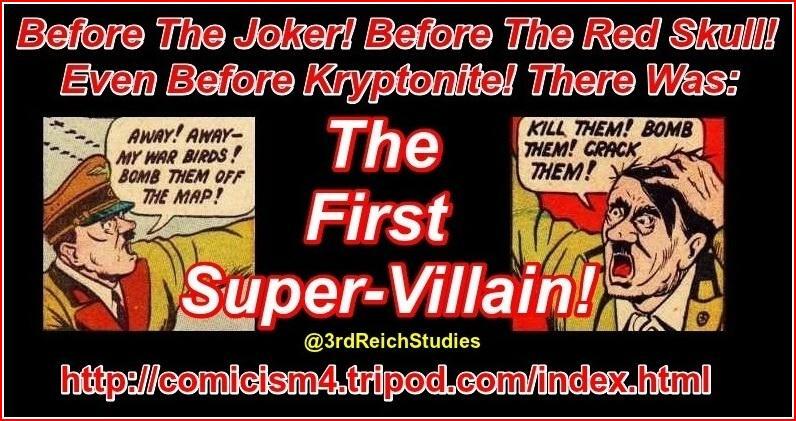 Then, a little further on: "It is my conviction that Hitler very soon realized his character, but made use of him where it suited his purpose, and burdened him perpetually with new tasks in order to avoid his becoming dangerous to himself." On Page 24 of your document you give another characteristic; "The Fuehrer continued to attach importance to the fact that from the outside his relations to me seemed normal and good. He knew I was well thought of in all the really respectable circles of the German people, and that in general everybody had great faith in me. This cannot be said of Goering, Von Ribbentrop, Dr. Goebbels, Himmler and Dr. Ley." Raeder: But there is something missing. "In the same way, as for instance, Baron Von Neurath, Count Schwerin van Krosigk, Schacht, Dorpmueller and others," who were on the other side. Colonel Pokrovsky: Evidently it was not correctly translated to you. I will read this passage into the record. Now, on Page 27, this place is underlined in red pencil: "Doenitz' strong political inclination to the Party..."
The President: [Interposing.] I think the Tribunal could read this themselves if the defendant says that it is true that he wrote it. Probably Dr. Siemers could check it over and see that there are no inaccuracies. Colonel Pokrovsky: Very well, My Lord. Then I shall have the opportunity to put a very brief question. [Turning to the defendant.] I will ask you to take a look at a place on Page 29, which is marked with pencil, where the paragraph deals with Field Marshal Keitel and General Jodl. Will you confirm that? Colonel Pokrovsky: I am asking you with regard to everything that I read into the record and what you say just now in this paragraph. I would like to have an answer from you. Do you confirm all that? Dr Siemers: Mr. President, I quite agree with the suggestion by the Tribunal. However, I should like to ask that the entire document be submitted. I have only short excerpts before me, and I would be grateful if I could see the entire document. I assume that Colonel Pokrovsky agrees to that. The President: Certainly, Dr. Siemers, one part of the document having been put in evidence, you can refer to the remainder of the document. You can put the remainder of the document in, if you want to. Raeder: I said that at the time I tried to find an explanation for the cause of our collapse. Colonel Pokrovsky: First, I ask you to give the answer, yes or no. Raeder: Yes. On the whole, I agree entirely with this judgment. But I should like to add that I wrote those things under entirely different conditions. I do not wish to go into details, and I never expected that that would ever become public. These were notes for myself to help me form my judgment later on. I also want to ask especially that what I said about Generaloberst Jodl should also be read into the record, or where it belongs, that is, right after the statement about Field Marshal Keitel. From Justice at Nuremberg by Robert E. Conot: During his interrogation in Moscow, Raeder had unburdened himself of some of his feelings about his fellow leaders in the Wehrmacht; and his opinions were now read in court. 'Speer flattered Doenitz's vanity, and vice versa,' Raeder declared. 'Doenitz's strong political party inclination brought him difficulties as head of the navy. His last speech to the Hitler Youth, which was ridiculed in all circles, gave him in the navy the nickname of 'Hitlerbube Doenitz' (Hitlerboy Doenitz).' 'Keitel,' Raeder said, was 'a man of unimaginable weakness, who owes his long stay in his position to this characteristic. The Fuehrer could treat him as badly as he wished--he stood for it.' 'Goering,' Raeder asserted, 'had a disastrous effect on the fate of the German Reich. His main peculiarities were unimaginable vanity and unmeasurable ambition, running after popularity and showing off, untruthfulness, impracticality, and selfishness. He was outstanding in his greed, wastefulness, and soft unsoldierly manner.' Doenitz, who had to sit brushing shoulders with Raeder for another three months, exploded: 'A pissed-off jealous old man!' Keitel could not understand how Raeder could have dissembled respect and friendship for him through the years they had worked together, and was devastated by Raeder's statement. 'My defense has entered a new phase under wholly altered circumstances,' he (Raeder) enigmatically told his counsel, Otto Nelte, unrealistically failing to accept the fact that his defense had, for all practical purposes, been concluded. More than anything, these revelations, coming one by one, shattered the remnants of trust among the defendants—even those who maintained a semblance of unity wondered what each truly thought about the others. Dr Siemers: ...May I come back to one question put by Sir David. On Page 1 Sir David had been reading as follows: "But if—as was stated—in nearly all spheres of armament where the Navy was concerned, the Treaty of Versailles was violated in the letter and all the more in the spirit, or at least its violation was prepared, a long time before the 16th of March 1935...." Then Sir David asked you: "Do you want to say that this is untrue?" You answered but you did not quite finish your reply, at least it never became quite clear what you said in the German or the English record. I want you to tell me why you are of the opinion that Assmann was not quite right in this respect? From The Nuremberg Trial by Ann and John Tusa: Raeder was not an immediately appealing witness. His intolerance of challenge or criticism was seldom controlled; he would snap at anyone. He had a puffy, haggard face topped by sparse black hair parted in the middle. The diamond-shaped dark glasses he often wore in court to counteract the dazzle of the courtroom lights gave an inappropriately festive look to a basically dour and sometimes bad-tempered face. Few people warmed to Raeder. Gilbert had noted that he was academically intelligent with a 'practical, unimaginative mentality' but saw him as 'an irritable old man.' Yet significantly Andrus confessed: 'I could not help but have very great sympathy' for him. Andrus felt sorry for a man who had suffered captivity in Russian hands and was moved by his anguish over his wife who was still in the Russian Zone and could not be contacted. Andrus had a soft heart; it only hardened to those who whined or failed to reach his standards of domestic hygiene. Raeder's testimony took up most of three days. He wallowed in facts and figures on rearmament and basked in the details of the numbers, classes and tonnage of ships. His counsel, Siemers, did nothing to restrain him. Siemers himself was long-winded and plodding, and set about enumerating each prosecution allegation and inviting lengthy replies from his client to each separate detail of a section or a point. Even Raeder on the first afternoon lost patience with his method. 'The individual cases are gradually becoming more ridiculous. I consider it a waste of time.' So did the Tribunal. Severing: ...Groener came up to me in the first session of the Mueller Government and said that he was looking forward to a sincere collaboration with me. I quoted a passage from that occasion, "May there be truth between us." Only complete sincerity would make possible fruitful co-operation, I said. 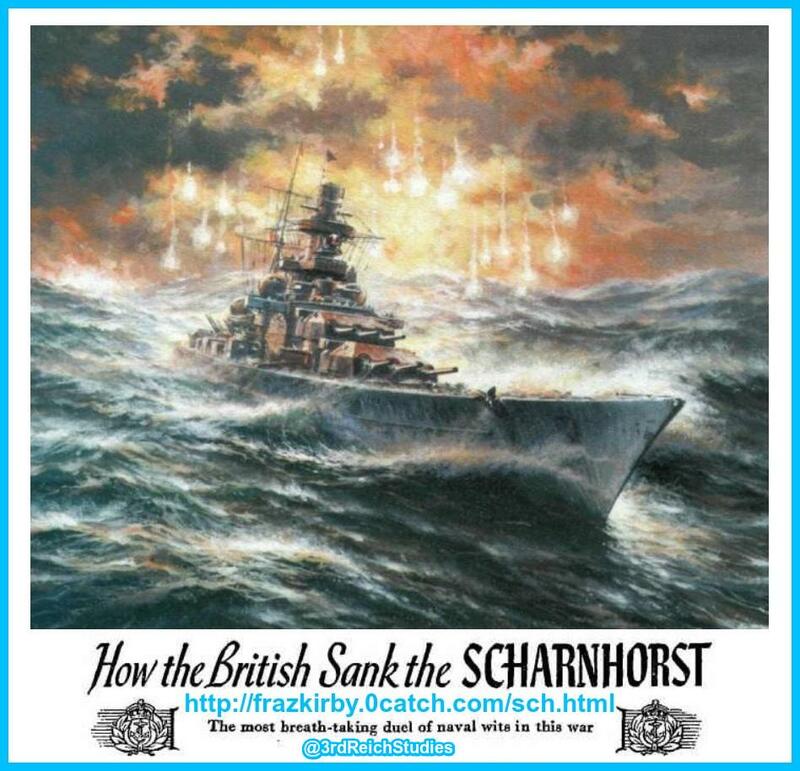 Dr Siemers: ...It is an article entitled Churchill Sinks the Athenia, taken from the Voelkischer Beobachter of 23 October 1939 (above)...may I ask you further what your attitude was at the time when you heard about this article? Weizsaecker: I considered it a perverted fantasy. Dr Siemers: Then you condemned this article? Weizsaecker: Naturally. Dr Siemers: Even though at the time you did not know yet that it was a German U-Boat? Weizsaecker: The question of whether it was a German U-boat or not could in no wise influence my opinion of the article. Dr Siemers: Then you considered this article objectionable, even if it had not been a German U-boat? 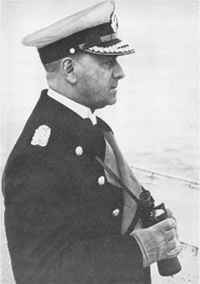 Dr. Siemers: Now the Prosecution asserts that Admiral Raeder had instigated this article and is reproaching him very gravely on moral grounds for this very reason, and the reproach is all the graver since, as we have seen, Raeder at this time—unlike yourself—knew that it was a German U-boat which had sunk the Athenia. Do you consider such an action possible on Raeder's part? That he could have instigated this article? Major Jones: When did you first discover that the U-30 had sunk the Athenia? Weizsaecker: As far as I remember, not at all during the war. Major Jones: But I understood you to say yesterday that you thought that the publication in the Volkischer Beobachter, accusing Mr. Winston Churchill of sinking the Athenia, was a piece of perverse imagination; is that right? Major Jones: Are you really saying to the Tribunal that—though you were in a responsible job—are you saying to the Tribunal that you did not discover the true facts about the Athenia until the end of the war, when you were directly concerned in the Foreign Office with this matter? Weizsaecker: I told you already yesterday what I know about this. It seems, does it not, that it was realized later by the Navy that the sinking of the Athenia was due to the action of a German submarine, but I cannot at all remember that I or the Foreign Office were informed of this fact. Major Jones: At any rate, the Defendant Raeder took no steps to correct the information that had been passed to the American diplomatic representatives, did he? Dr Siemers: The defendant is accused of building up the Navy with the intention of carrying on an aggressive war, and this even after the Treaty of Versailles was already in force. Schulte-Monting: That is not correct. Never in all my conversations which I had with Raeder was the thought-much less the word-of an aggressive war mentioned. I believe that all his actions and his directives contradict this. Dr Siemers: Were there possibly any ideas of a strategic nature under consideration, while the Versailles Treaty was in force, with a view to an aggressive war? Dr Siemers: What was the basic reason for the maneuvers held by the Navy from the years 1932 until 1939? Schulte-Monting: They were held exclusively with a view to the security, protection, and defense of the coastal waters and the coast itself. Dr Siemers: Was a war with England taken as a basis for any of these maneuvers between 1932 and 1939? The defendants reflect the ending of these proceedings. They seem to feel that the days are definitely numbered. Even Goering, who has been positively impish up to very recently, now is gray and crestfallen. Keitel wears the mask of the doomed already. And so it goes through the entire dock. General Jodl and Seyss-Inquart being exceptions to some extent and mostly because they are more stable emotionally. From The Anatomy of the Nuremberg Trials by Telford Taylor: Siemers was a good lawyer, but lacked the presence of his two predecessors (Kranzbuehler and Dix) and was not a favorite of the judges, who sometimes found him too argumentative. However, on this occasion Siemers' argument went smoothly and was adequately delivered. Like Kranzbuehler's, however, the greater part of Siemers' address was just a second edition of Raeder's testimony. 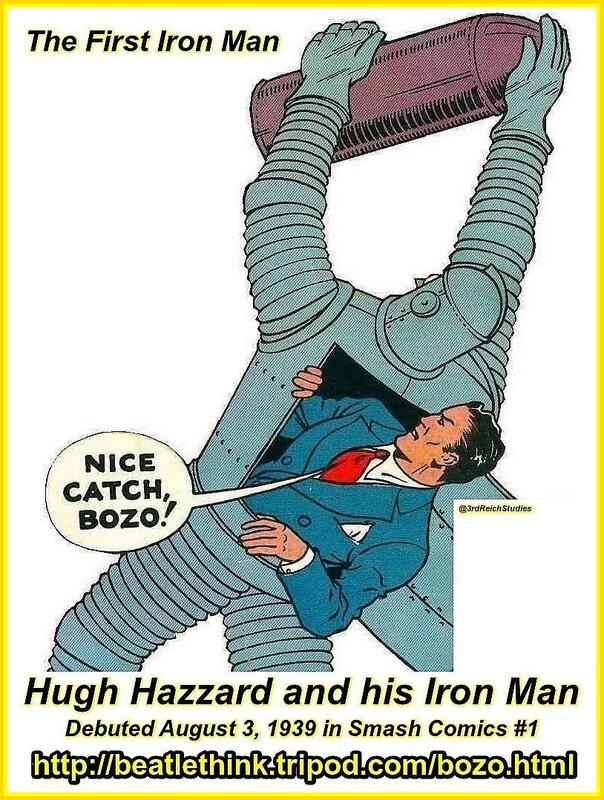 This did not much strengthen his case. In fact, the principal flaw in Siemers' presentation was his failure to deal at all with damaging pieces of evidence presented by the British prosecution. For example, in dealing with the German occupation of Norway, Siemers made a good argument in support of Germany's right to occupy Norway if Britain was about to take that step herself. But he made no mention of the evidence which clearly showed that Raeder had initially approached Hitler, not with fear that Britain might occupy Norway, but on the basis that German naval and air bases on Norway's west coast would bring them great military advantages. Nor did Siemers discuss Germany's occupation of Denmark, where there had been no concern about a British invasion. Another oversight was Siemers' failure to deal adequately with the prosecution's charge that German naval units in Bordeaux had executed, pursuant to the Commando Order, two British prisoners. Subsequently, the Tribunal cited that episode as proof of Raeder's guilt of war crimes. 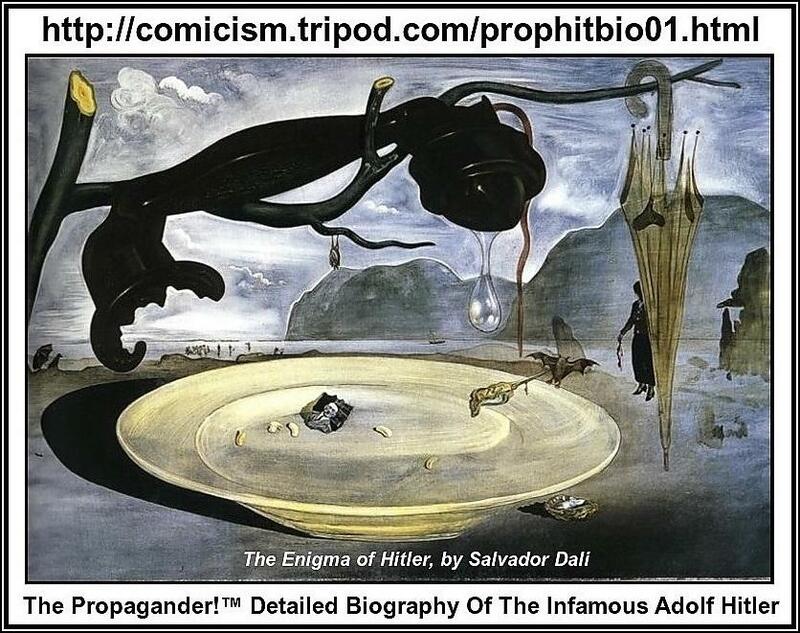 As for conspiracy to wage aggressive wars, Siemers continued to advance the spurious idea that his client could not have been a conspirator with Hitler because the Fuehrer made all the decisions. 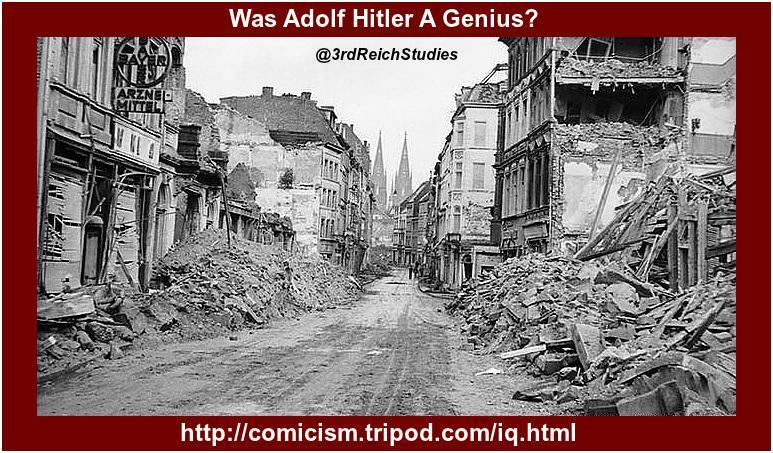 Siemers also insisted that Raeder had believed Hitler's private assurance that he would not resort to war. But Raeder not only was present at Hitler's 'lectures' to the assembled military leaders in 1939 in which he decisively ordered them to prepare for wars that were patently aggressive, but Raeder had also willingly directed the naval preparations necessary to carry out hose orders. Siemers' argument had not been 'brilliant' but, from the viewpoint of the defendants, his client's case was much more difficult than Schacht's or Doenitz's. Nevertheless, Siemers ended with a brave request to the Tribunal that Raeder be acquitted 'on all points of the indictment.' Raeder, well pleased, had tears in his eyes as he thanked Siemers... ...There was...lamentable concealment of evidence in the Raeder case, when Siemers asked for the British Admiralty's documents on British plans to send troops into Norway to cut off the flow of iron ore from Sweden to Germany. Full disclosure was not made until after the Nuremberg trials had ended." Hitler, after the Polish invasion, boasted that it was the Austrian and Czechoslovakian triumphs by which "the basis for the action against Poland was laid". Goering suited the act to the purpose and gave immediate instructions to exploit for the further strengthening of the German war potential, first the Sudetenland, and then the whole Protectorate. 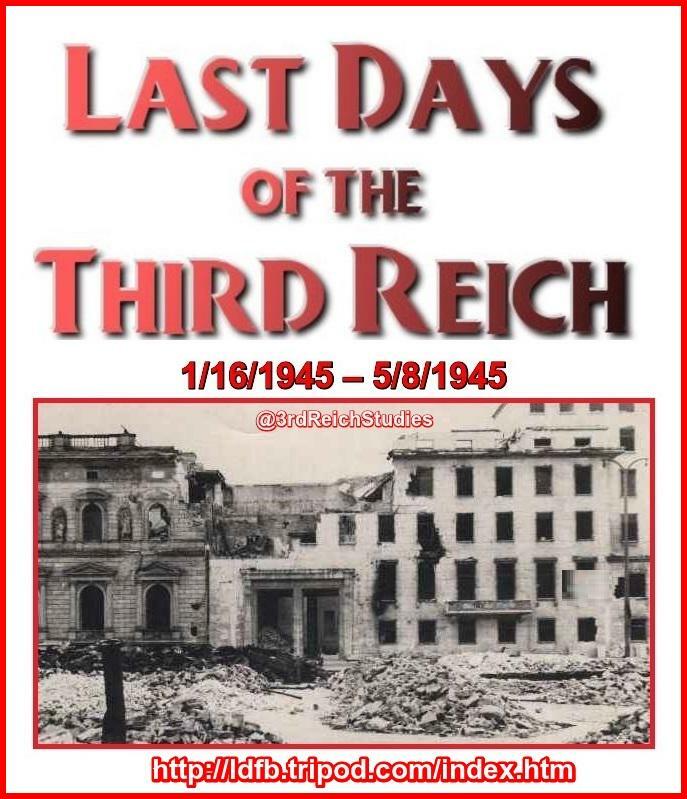 By May of 1939 the Nazi preparations had ripened to the point that Hitler confided to the Defendants Goering, Raeder, Keitel, and others his readiness "to attack Poland at the first suitable opportunity," even though he recognized that "further successes cannot be attained without the shedding of blood." The larcenous motives behind this decision he made plain in words that echoed the covetous theme of Mein Kampf: "Circumstances must be adapted to aims. This is impossible without invasion of foreign states or attacks upon foreign property. Living space in proportion to the magnitude of the state is the basis of all power-further successes cannot be attained without expanding our living space in the East...."
While a credulous world slumbered, snugly blanketed with perfidious assurances of peaceful intentions, the Nazis prepared not as before for a war but now for the war. The Defendants Goering, Keitel, Raeder, Frick, and Funk, with others, met as the Reich Defense Council in June of 1939. The minutes, authenticated by Goering, are revealing evidences of the way in which each step of Nazi planning dovetailed with every other. These five key defendants, 3 months before the first Panzer unit had knifed into Poland, were laying plans for "employment of the population in wartime," and had gone so far as to classify industry for priority in labor supply after "5 million servicemen had been called up." They decided upon measures to avoid "confusion when mobilization takes place," and declared a purpose "to gain and maintain the lead in the decisive initial weeks of a war." They then planned to use in production prisoners of war, criminal prisoners, and concentration camp inmates. Raeder, the political admiral, stealthily built up the German Navy in defiance of the Versailles Treaty, and then put it to use in a series of aggressions which he had taken a leading part in planning...It was the fatal weakness of the early Nazi band that it lacked technical competence. It could not from among its own ranks make up a government capable of carrying out all the projects necessary to realize its aims. Therein lies the special crime and betrayal of men like Schacht and Von Neurath, Speer and Von Papen, Raeder and Doenitz, Keitel and Jodl. 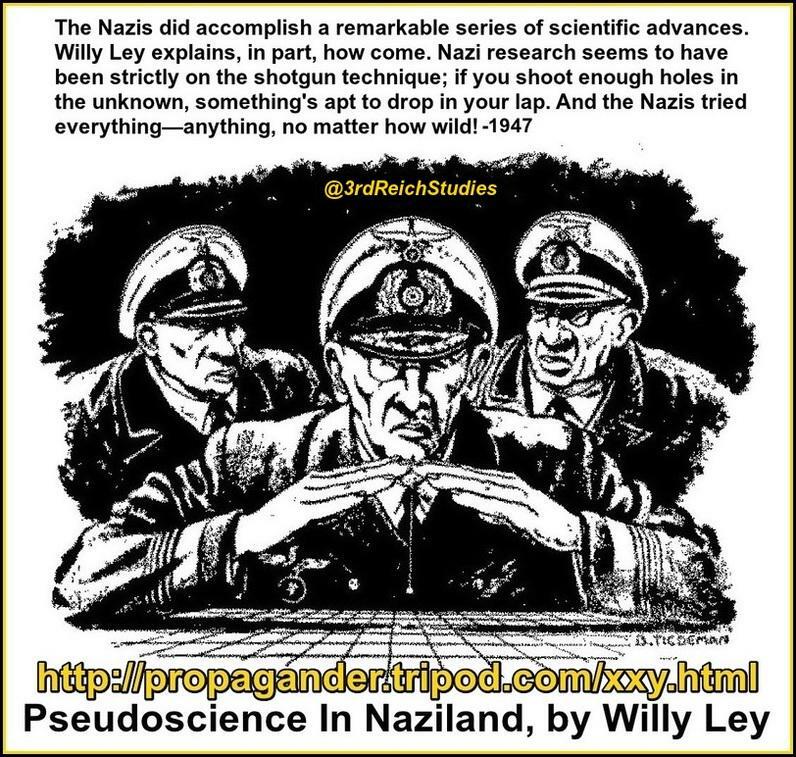 It is doubtful whether the Nazi master plan could have succeeded without their specialized intelligence which they so willingly put at its command. They did so with knowledge of its announced aims and methods, and continued their services after practice had confirmed the direction in which they were tending. Their superiority to the average run of Nazi mediocrity is not their excuse. It is their condemnation. Are Raeder's hands unstained with the blood of murder? As early as 1933, to use his own words: "...Hitler had made the clear political request to build up...by 1 April 1938 armed forces which he could put in the balance as an instrument of political power." When, therefore, he received successive orders to fight if war resulted from Hitler's foreign policy, he knew very well that war was a certain risk if that policy went awry. Again and again he had this warning, first when Germany left the Disarmament Conference, again at the time of the negotiations for the Naval Agreement in 1935, at the time of the Rhineland, and later when he attended the famous Hossbach conference. 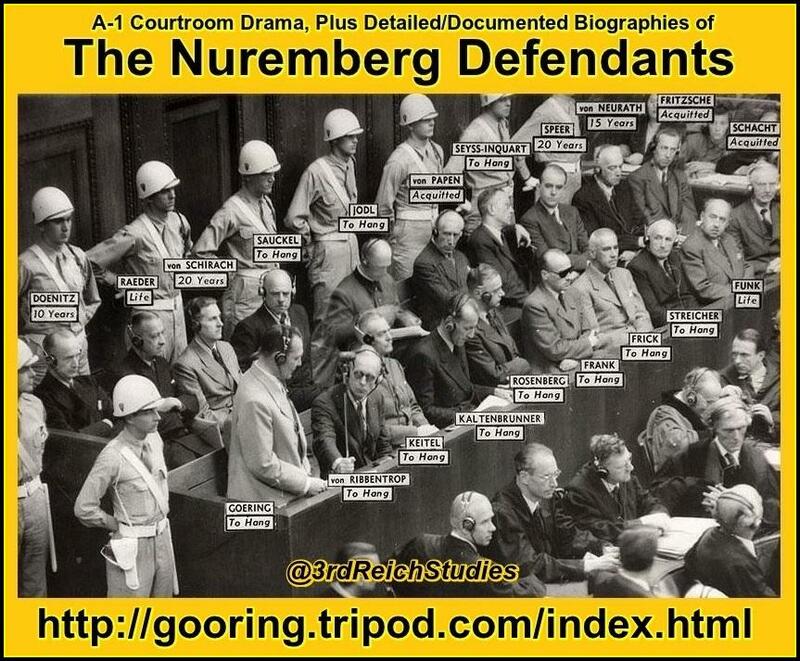 August 30, 1946 Nuremberg Tribunal: On day 216, the defendants make their final statements. Final Statement of Erich Raeder: This Trial, now that the evidence has been concluded, has had a beneficial result for the German nation; but an unexpected one for the Prosecution. Unimpeachable testimony has cleared the German people—and with them all the persons in the same situation as myself—of the most serious charge, the charge that they had known of the killing of millions of Jews and other people, if they had not actually participated in it. The attempt of the Prosecution, who through earlier interrogations had known the truth for a long time, and who nevertheless continued and repeated their accusations—with the raised finger of the preacher of morals—in the trial briefs and during cross-examinations, this attempt to defame the entire people has collapsed upon itself. The second result of this Trial, which is general and therefore of interest for me also, is the fact that on the basis of the evidence the German Navy's cleanness and decency in battle were fundamentally confirmed. The German Navy stands before this Court and before the world with a clean shield and an unstained flag. With a clear conscience we can most emphatically refute Shawcross' attempts in his final speech to place the submarine warfare on the same level with atrocities, because according to the clear results of the evidence they are untenable. In particular, the charge that the German Navy "never had the intention to observe the laws of naval warfare," as Shawcross said, Pages 70 and 71, has been completely invalidated. It has likewise been proved that the Naval Operations Staff and its chief never showed "contempt for international law" (Dubost's final speech), but on the contrary made an honest endeavor from the first to the very last moment to bring the conduct of modern naval warfare into harmony with the requirements of international law and humanity, on the same basis as our opponents. I regret that the Prosecution tried again and again to defame the German Navy, and myself, as was shown by the submission of its second modified trial brief, which differs from the first version only in that the number and severity of insulting statements have been increased. This fact shows that the prosecutors themselves felt that the factual accusations were too weak. But it is also my conviction that the British and American Prosecution have rendered ill service to their own Navies by morally defaming and characterizing as inferior the opponent against whom the Allied naval forces waged hard and honorable naval war over a number of years. I am convinced that the admiralties of the Allied powers understand me and that they know that they have not fought against a criminal. The only way I can explain to myself this attitude adopted by the Prosecution is by assuming that its representatives, as I necessarily perceived again and again, revealed only very little judgment regarding the principles of truly soldier-like conduct and military leadership and that, therefore, they hardly seem qualified to judge soldierly honor. To sum up: I have done my duty as a soldier because it was my conviction that this was the best way for me to serve the German people and fatherland, for which I have lived and for which I am prepared to die at any moment. If I have incurred guilt in any way, then this was chiefly in the sense that in spite of my purely military position I should perhaps have been not only a soldier, but also up to a certain point a politician, which, however, was in contradiction to my entire career and the tradition of the German Armed Forces. But then this would have been a guilt, a moral guilt, towards the German people, and could never at any time brand me as a war criminal. It would not have been guilt before a human criminal court, but rather guilt before God." Final Judgment: Raeder is indicted on Counts One, Two, and Three. In 1928 he became Chief of Naval Command and in 1935 Oberbefehlshaber der Kriegsmarine (OKM); in 1939 Hitler made him Grossadmiral. He was a member of the Reich Defense Council. On 30 January 1943, Doenitz replaced him at his own request, and he became Admiral Inspector of the Navy, a nominal title. Crimes against Peace: In the 15 years he commanded it, Raeder built and directed the German Navy; he accepts full responsibility until retirement in 1943. 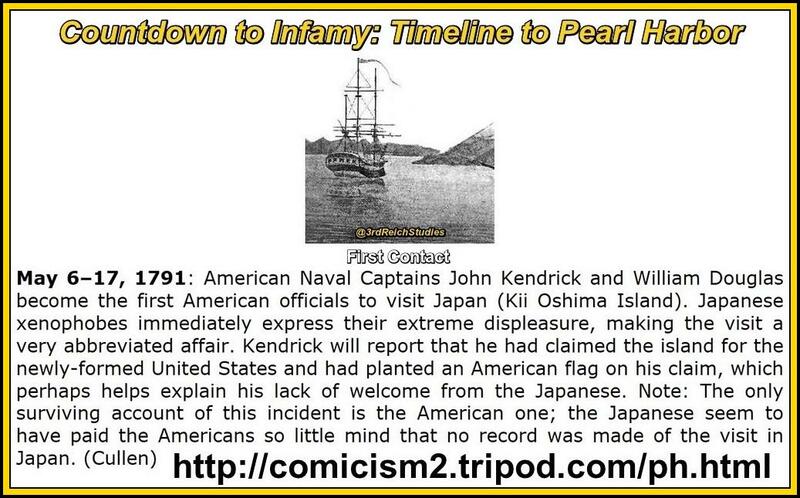 He admits the Navy violated the Versailles Treaty, insisting it was "a matter of honor for every man" to do so, and alleges that the violations were for the most part minor, and Germany built less than her allowable strength. These violations, as well as those of the Anglo-German Naval Agreement of 1935, have already been discussed elsewhere in this Judgment. Raeder received the directive of 24 June 1937 from Von Blomberg requiring special preparations for war against Austria. 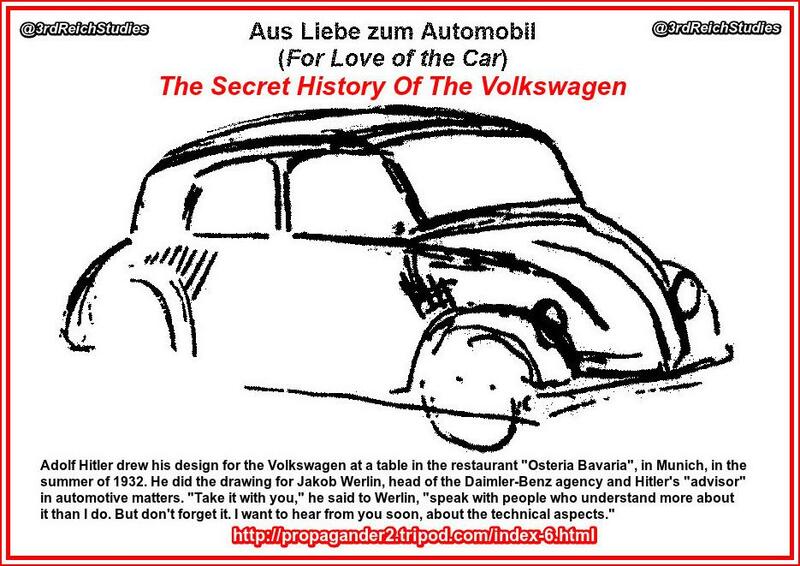 He was one of the five leaders present at the Hossbach conference of 5 November 1937. He claims Hitler merely wished by this conference to spur the Army to faster rearmament, insists he believed the questions of Austria and Czechoslovakia would be settled peacefully, as they were, and points to the new naval treaty with England which had just been signed. He received no orders to speed construction of U-Boats, indicating that Hitler was not planning war. Raeder received directives on "Fall Gruen" and the directives on "Fall Weiss" beginning with that of 3 April 1939; the latter directed the Navy to support the Army by intervention from the sea. He was also one of the few chief leaders present at the meeting of 23 May 1939. He attended the Obersalzberg briefing of 22 August 1939. The conception of the invasion of Norway first arose in the mind of Raeder and not that of Hitler. Despite Hitler's desire, as shown by his directive of October 1939, to keep Scandinavia neutral, the Navy examined the advantages of naval bases there as early as October. Admiral Carls originally suggested to Raeder the desirable aspects of bases in Norway. A questionnaire, dated 3 October 1939, which sought comments on the desirability of such bases, was circulated within SKL. 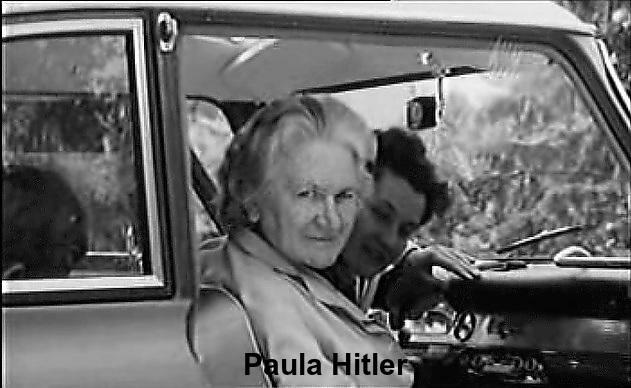 On 10 October Raeder discussed the matter with Hitler; his war diary entry for that day says Hitler intended "to give the matter consideration." A few months later Hitler talked to Raeder, Quisling, Keitel, and Jodl; OKW began its planning and the Naval War Staff worked with OKW staff officers. Raeder received Keitel's directive for Norway on 27 January 1940 and the subsequent directive of 1 March, signed by Hitler. Raeder defends his actions on the ground it was a move to forestall the British. It is not necessary again to discuss this defense, which has heretofore been treated in some detail, concluding that Germany's invasion of Norway and Denmark was aggressive war. In a letter to the Navy, Raeder said: "The operations of the Navy in the occupation of Norway will for all time remain the great contribution of the Navy to this war." Raeder received the directives, including the innumerable postponements, for the attack in the West. In a meeting of 18 March 1941 with Hitler he urged the occupation of all Greece. He claims this was only after the British had landed and Hitler had ordered the attack, and points out the Navy had no interest in Greece. He received Hitler's directive on Yugoslavia. Raeder endeavored to dissuade Hitler from embarking upon the invasion of the USSR. In September 1940 he urged on Hitler an aggressive Mediterranean policy as an alternative to an attack on Russia. On 14 November 1940 he urged the war against England "as our main enemy" and that submarine and naval air force construction be continued. He voiced "serious objections against the Russian campaign before the defeat of England," according to notes of the German Naval War Staff. He claims his objections were based on the violation of the non-aggression pact as well as strategy. But once the decision had been made, he gave permission 6 days before the invasion of the Soviet Union to attack Russian submarines in the Baltic Sea within a specified warning area and defends this action because these submarines were "snooping" on German activities. 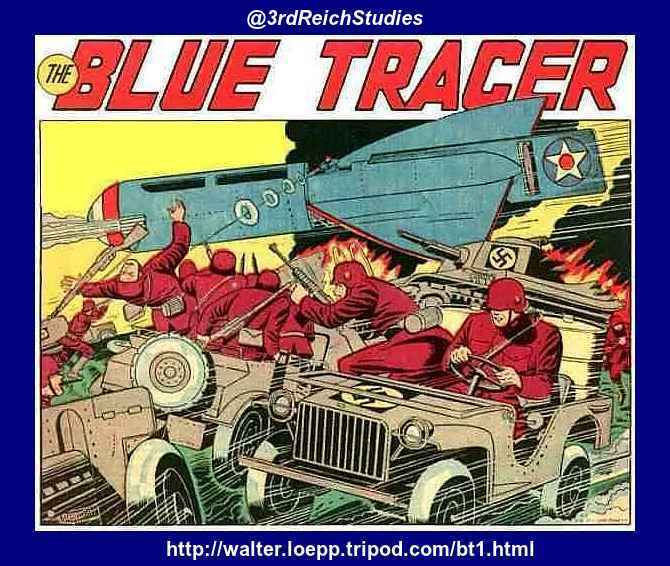 It is clear from this evidence that Raeder participated in the planning and waging of aggressive war. 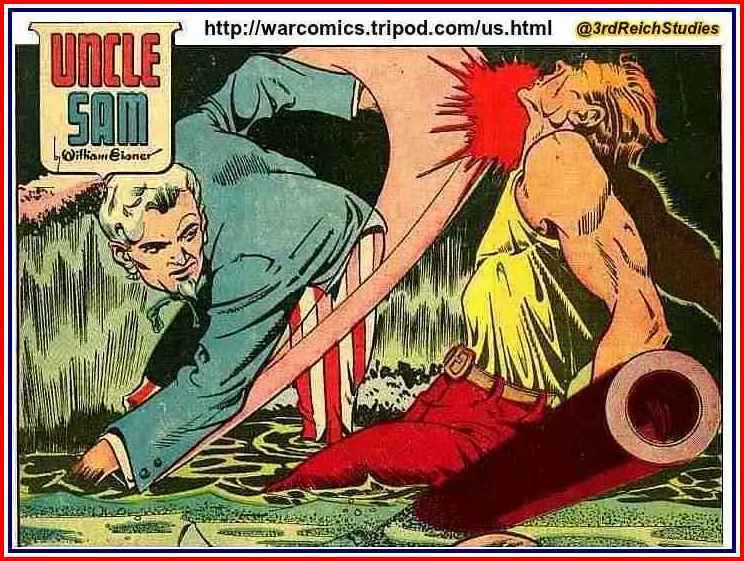 War Crimes: Raeder is charged with war crimes on the high seas. The Athenia, an unarmed British passenger liner, was sunk on 3 September 1939, while outward bound to America. The Germans 2 months later charged that Mr. Churchill deliberately sank the Athenia to encourage American hostility to Germany. In fact, it was sunk by the German U-Boat U-30. Raeder claims that an inexperienced U-Boat commander sank it in mistake for an armed merchant cruiser, that this was not known until the U-30 returned several weeks after the German denial and that Hitler then directed the Navy and Foreign Office to continue denying it. Raeder denied knowledge of the propaganda campaign attacking Mr. Churchill. The most serious charge against Raeder is that he carried out unrestricted submarine warfare, including sinking of unarmed merchant ships, of neutrals, non-rescue and machine-gunning of survivors, contrary to the London Protocol of 1936. The Tribunal makes the same finding on Raeder on this charge as it did as to Doenitz, which has already been announced, up until 30 January 1943 when Raeder retired. 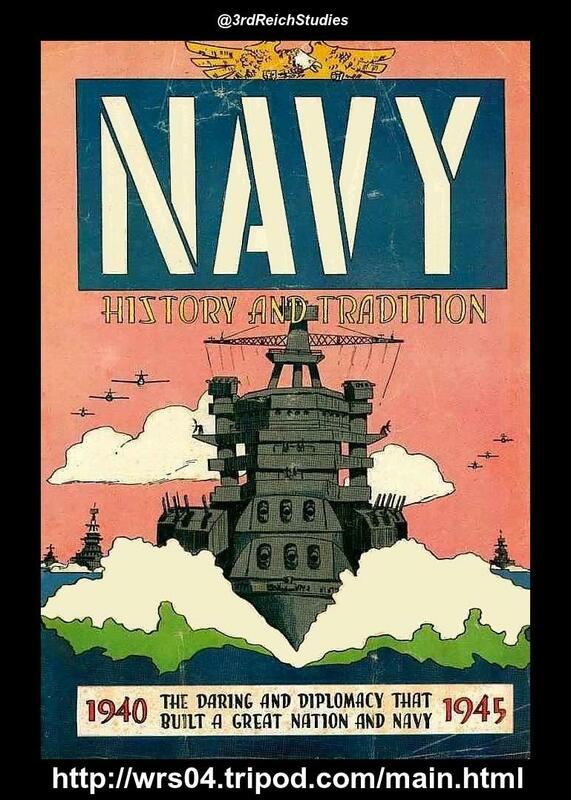 The Commando Order of 18 October 1942 which expressly did not apply to naval warfare was transmitted by the Naval War Staff to the lower naval commanders with the direction it should be distributed orally by flotilla leaders and section commanders to their subordinates. Two Commandos were put to death by the Navy, and not by the SD, at Bordeaux on 10 December 1942. The comment of the Naval War Staff was that this was "in accordance with the Fuehrer's special order, but is nevertheless something new in international law, since the soldiers were in uniform." Raeder admits he passed the order down through the chain of command and he did not object to Hitler. Conclusion: The Tribunal finds that Raeder is guilty on Counts One, Two and Three." October 16, 1946: Those defendants sentenced to imprisonment endure a sleepless night as, one by one, the names of those condemned to death are called off, and they are led to the gallows in turn. Book distribution today at a quarter after five. The library, an empty cell, is unlocked. On one side shelves with our personal books, which we brought with us from Nuremberg. The lions share had been provided by Hess, who in England was able to buy an impressive number of books, even some rare editions, because during his imprisonment he received a captain's pay (in keeping with international agreements, since he had landed in a captain's uniform). Raeder and Doenitz have their difficulties with each other. Raeder, who in the spring of 1943 was replaced by Doenitz as commander of the navy, is now seventy-two years old, and still vigorous. He still regards Doenitz, fifteen years his junior and his former subordinate as chief of the submarine forces, as an overambitious officer. Doenitz, for his part, blames his predecessor for his policy of bloated surface vessels. Thanks to Raeder, he says, the German navy entered the war with only some fifty U-boats, of which only ten could be permanently operating in the Atlantic. Today, talking at length with Neurath in the garden, he excitedly argued that England would have been forced to her knees as early as 1941 if Germany had had three hundred U-boats, as he had demanded, at the outbreak of the war. It had been Raeder's fault, he said, that until the middle of 1940 only two U-boats a month slid down the ways. The navy command had not built even half the 24,000 tons of submarines permitted under the 1935 Naval Treaty with England, he pointed out. Spade in hand, I watched Neurath listening with polite interest to the grand admiral's tirade. Whenever the two passed by me on their rounds, I could only hear Doenitz's agitated voice. Raeder treats Doenitz with the condescension of a superior officer, which particularly irritates him. As for Doenitz's allegations, Raeder ignores them. The two usually avoid each other. The disagreement will not be settled, but I have the distinct feeling that Doenitz is only waiting for the chance to denounce what he considers to be omissions in the German preparations for war. He wants to point an accusing finger at Raeder. September 17, 1955: Raeder is released from Spandau due to ill health. 1957: Raeder publishes Mein Leben (My Life),' his autobiography. November 6, 1960: Raeder dies in Kiel, Germany. 1962: Mr. Francis Biddle, IMT Member for the United States of America. We were an international Bench and looked at our legal and political obligations from different angles. Diplomatic horse-trading was combined with the duties of the judge. It necessarily played some part in certain decisions since an agreed judgment would not have been possible otherwise...In our deliberations we could not leave out of account the effect of our decisions on public opinion. The point now is what effect this trial will have on the future course of history. In this I must confess to great disillusionment. During the trial we had close friendly relations with our Russian colleagues despite the fact that we raised violent objection to their inclusion of the Katyn massacre in the Indictment. We thought that we were on terms of confidence with the Russians and would keep them as friends. But when the trial was over they went back to Russia, we lost all contact with them. All attempts to gain touch with them again failed. This communist veto on normal relationships is a sad fact. Even sadder were the cynical violations of international as created at Nuremberg which we have had to witness meanwhile—Korea, Hungary, Kashmir, Algeria, Congo, Vietnam. Our Nuremberg hope that we had made some contribution to transition to a peaceful world under the rule of law has not been fulfilled. Forty-five years later, it is necessary to ask whether, on balance, the Nuremberg trials did more good than harm. By convicting and executing a tiny number of the most flagrant criminals, the Nuremberg court permitted the world to get on with business as usual...Perhaps Henry Morgenthau was asking for too much when he demanded that German industry and military capacity be destroyed 'forever,' and that Germany must be 'reduced to a nation of farmers.' But perhaps the Nuremberg tribunal asked for too little when it implicitly expiated the guilt of thousands of hands-on murderers by focusing culpability on a small number of leaders who could never have carried out their wholesale slaughter without the enthusiastic assistance of an army, both military and civilian, of retail butchers. The Nuremberg Trial was an example of both 'victor's justice' and of the possible beginning of a 'new legal order' of accountability. Trying the culprits was plainly preferable to simply killing them.